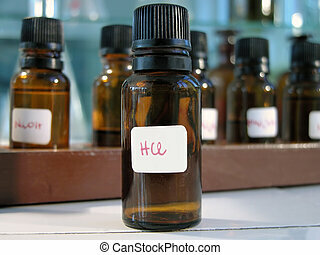 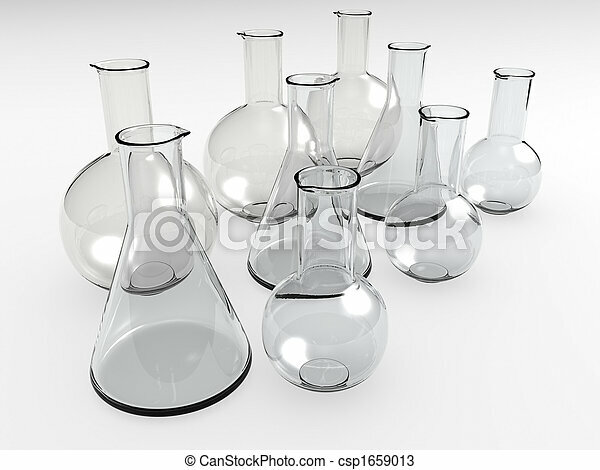 Laboratory bottles. 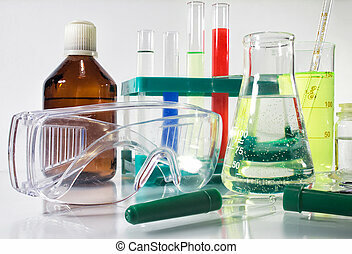 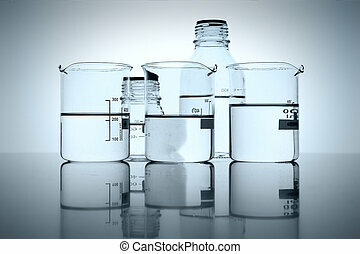 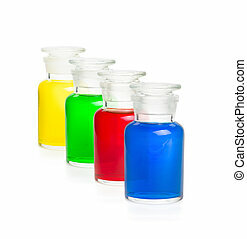 An isolated glass laboratory equipment on white background. 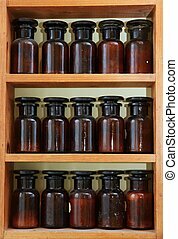 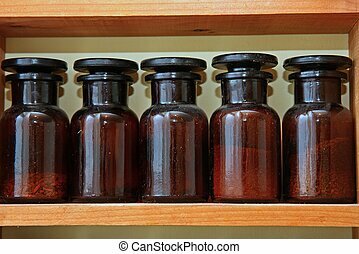 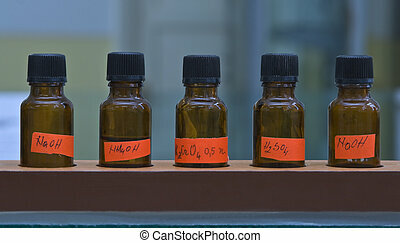 Row of brown laboratory bottles with inorganic substances. 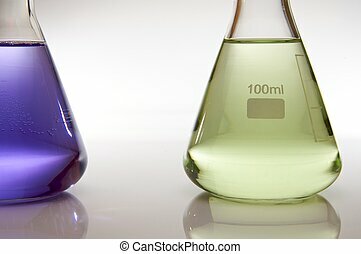 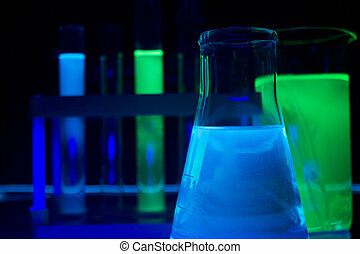 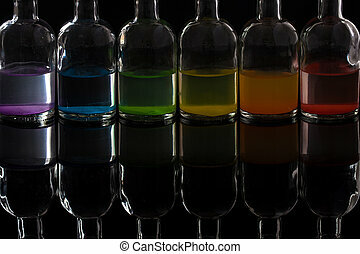 Photo composition of a laboratory bottles and test-tubes with glowing liquids standing on a glass table under ultraviolet lights. 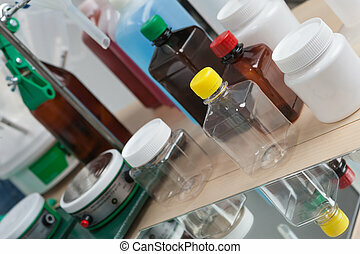 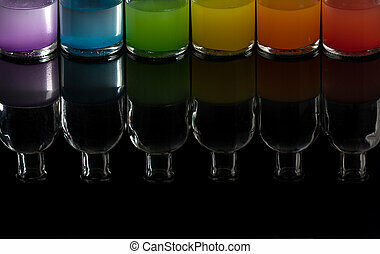 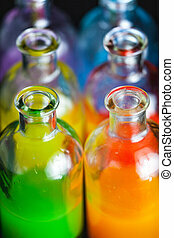 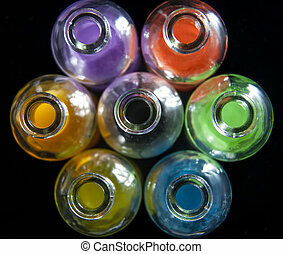 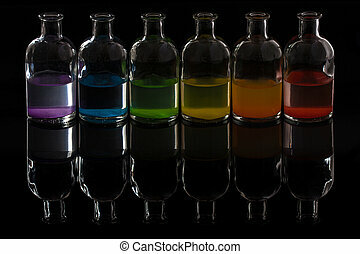 Photo composition of a laboratory bottles, test-tubes, protective glasses & medicine dropper laying on a white glass table.